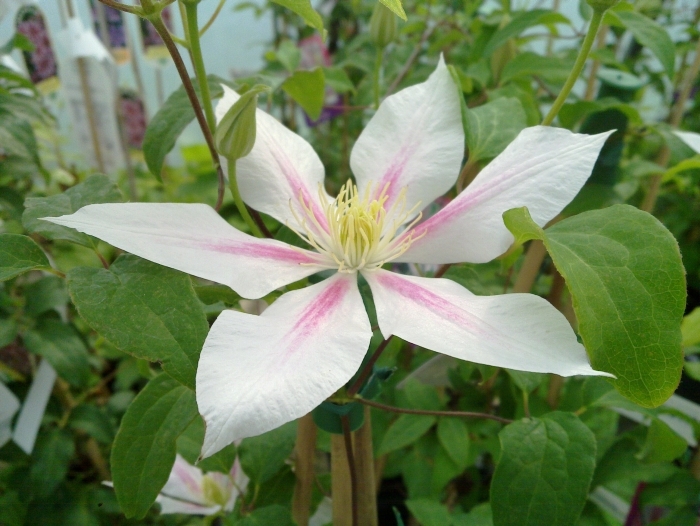 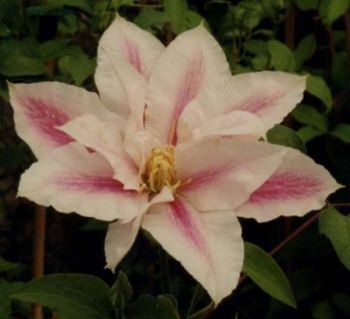 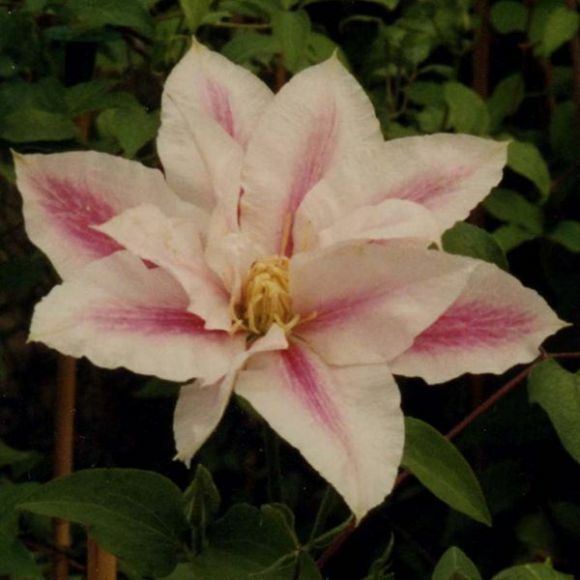 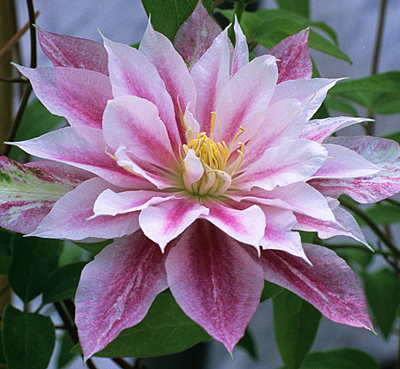 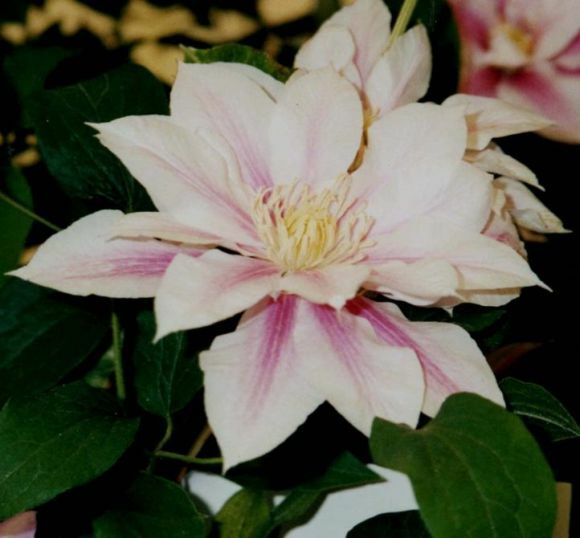 The Clematis Andromeda has good sized semi-double flowers of pink and white, flowering in May, June and again with single flowers in September. 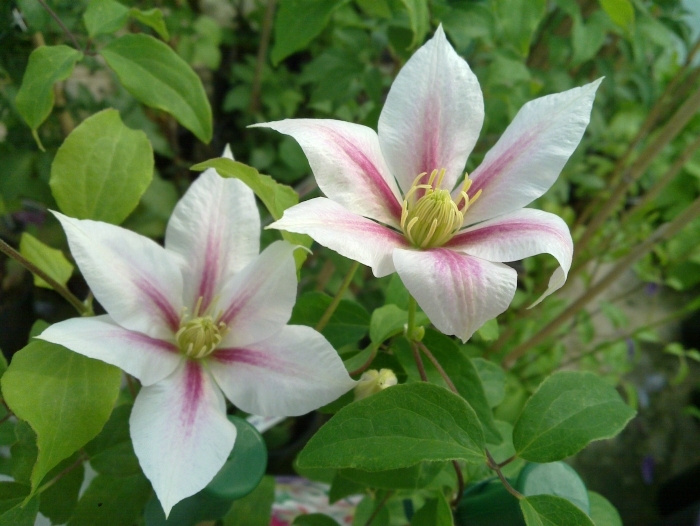 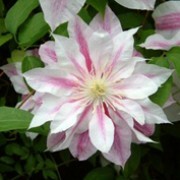 You can grow Clematis Andromeda in the ground or in a pot. 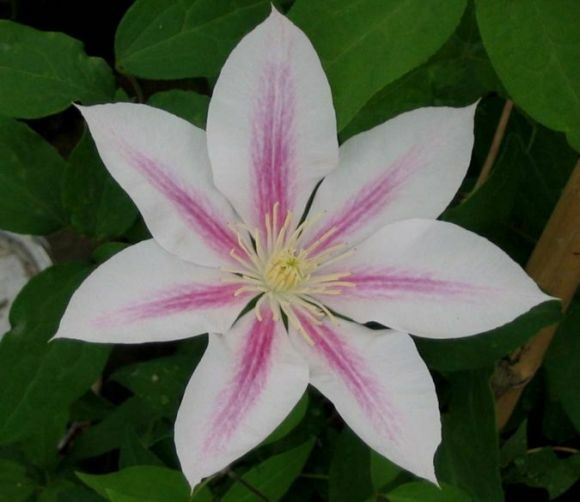 Andromeda has a striking stripe running down the centres of each sepal and stands out because of this, the stripe from Amdromeda almost blends into the rest of the flower. 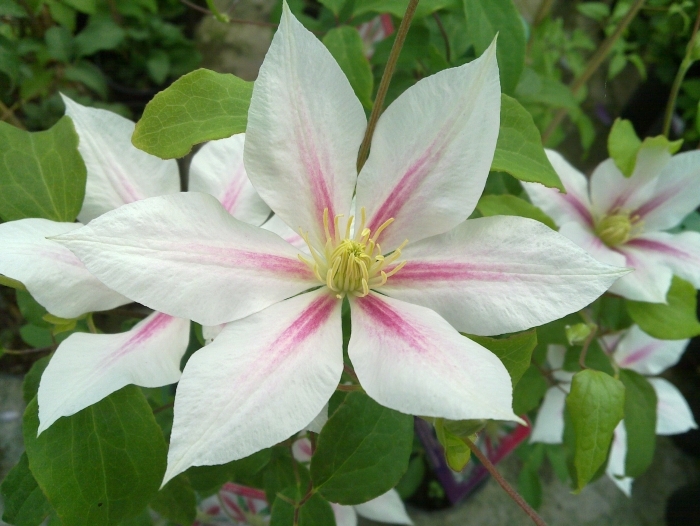 Clematis Andromeda can grow up to heights of around 8 feet and spreads around 3 feet. 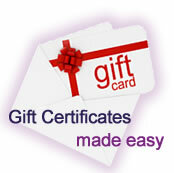 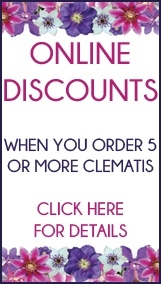 Clematis Shoppers online: 442 .